Andy Hunt is to step down as chief executive of the British Olympic Association at the end of February. Hunt informed the BOA board of directors of his decision on Wednesday and leaves after four years in the role in order to pursue other opportunities. He was also Chef de Mission for Team GB at the London 2012 Games, where they won 65 medals and finished third in the medals table. "I will always be proud to have led Team GB at a home Games," said Hunt. "Andy Hunt was one of a number of executives recruited by the BOA's previous chairman, Lord Moynihan, as he tried to professionalise the organisation ready for its role as the host National Olympic Committee of the 2012 Games. Hunt has now joined fellow board members Sir Clive Woodward and commercial head Hugh Chambers out of the front door at Charlotte Street. He effectively wrote himself out of a job, accepting the BOA has to gear itself very differently now. Cutting the wage bill has been essential as the organisation faces financial realities away from the international Olympic spotlight. He won't be immediately replaced, if at all." "Now that the Games are over, and the organisation's strategy for the next four years is taking shape, the BOA's responsibilities and the job of the CEO are different. "I feel it is the right time for me to move on to another leadership role with breadth and profile similar to the responsibilities I've fulfilled since 2008." The move was expected as the BOA continues a financial restructure following London 2012 and there are no immediate plans to recruit a replacement. 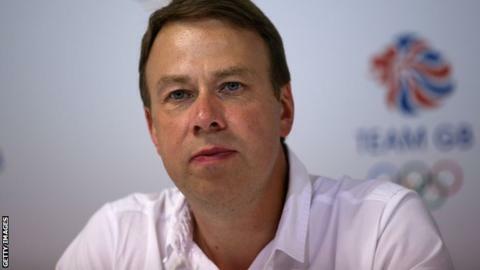 Hunt is the third member of the BOA board to leave after the Games, following the departures of Sir Clive Woodward and Hugh Chambers. He is credited with overseeing the modernisation of the organisation, the development of the Team GB brand and the creation of the BOA Athletes' Commission, which has become an important resource in shaping the organisation's plans. "Team GB had the very best facilities, care and preparation at the London 2012 Games thanks to the tireless efforts and passion of Andy Hunt and his team over the last four years," said BOA chairman Lord Coe. "I know I speak on behalf of all Team GB athletes and the BOA Board when I say thank you to Andy for the work he has done, and I wish him all the best in his next endeavour."